3A toys—most recently flooring us with their Destiny efforts—have also managed to pick up the rights to make some Transformers figures. And oh boy. There’ll be a whole series of them, each based on original G1 character designs. For TFG1, Ashley Wood and the development team at ThreeA have gone back to the original 1980s animation models and toy lines for inspiration. Maintaining the delicate balance between these characters’ distinct appearances while restyling their designs with ThreeA’s fresh approach has been both a challenge and a delight. 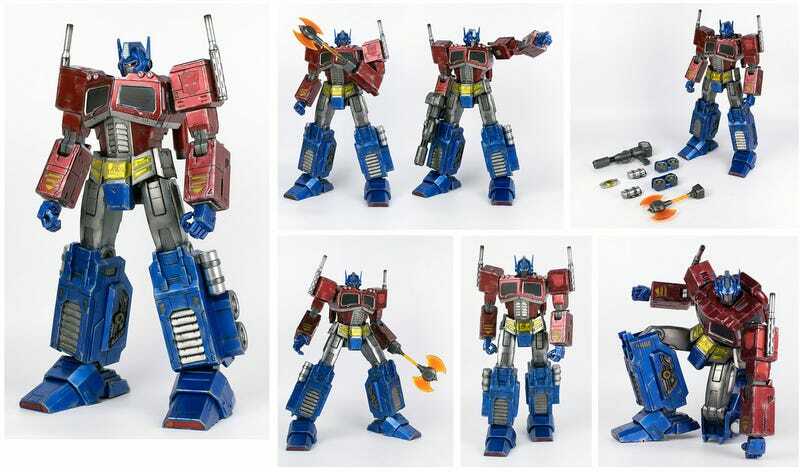 The first figure, standing 16 inches tall, will be Optimus Prime, who will also be sold in Ultra Magnus and Nemesis Prime variants. Preorders will kick off later this year. No price announced, but as with most 3A toys, if you have to ask, it’s not for you. UPDATE: Looks like there’ll be some GI Joe as well.